Mrs Rick’s Cupboard is pleased to invite you to the third annual graduate exhibition, ‘Common Facilities’ by emerging artist James Politano. In preparation for ‘Common Facilities,’ Politano envisions the space in and around the cupboard as an elevated tenement building. 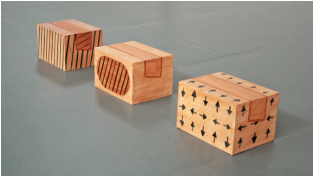 The work oscillates between the 2-D and the 3-D, the abstract and the figurative, the functional and the dysfunctional. ‘Common Facilities is loosely based on amenities designed to make our interaction with the world more convenient. Facilities which exist in the backgrounds of our lives, their only purpose to serve and not be heard. Air conditioning conduits, elevators and electrical switching systems become starting points for the work which draws on representation, image and object. Although vacant of dwellers, the work riddles the interior of the cupboard, populating the walls and levels as though they have been left to fester and multiply. 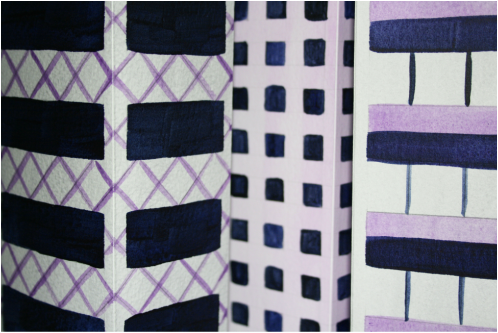 They are void of practical function, substituted for pattern, colour and shape. They try to appear formal yet remain ridiculous. Momentarily simulating colourful maquette’s of high-rise apartments. Fascinated by the history of these vertical cities, Politano draws parallels between the failed post-war ideology of practical housing and direct references to the attempt to purify art by the Minimalists. Felt skins pose as lookalikes or lean versions of their robust counterparts, while the paper plants suggest the falseness of artificial objects. They are imitations; paper stems which will never photosynthesize, flourish or die. Yet, they propose a promise to compliment or decorate their surroundings. James Politano is a recent graduate of Nottingham Trent University (2014) from the BA (Hons) Fine Art course. 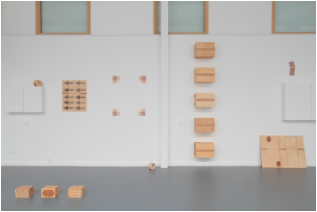 Recent exhibitions include ‘Travellers on the Earth’ Wuhan, China, ‘The By-Product’ My-Sight Gallery and ‘Anthology’ Bohunk Institute. Politano has also been selected for ‘Nottingham Castle Open 2014’ which celebrates the creative talent within the region.